Following the new Elan design the new E3 was developed with both racing performance and cruising comfort in mind. The unique combination of T-bulb keel, twin-rudder steering and twin wheels, all rare features on a design of this size, really put her in the spotlight in her class. This is truly a multi-dimensional sailing boat. Researched and developed for the most demanding needs, it is designed to be sufficiently easy to sail to carry the badge of a starter boat, yet it is sophisticated enough in its sailing qualities to convince passionate sailors, delivering them the performance and general scope they might expect to find in a much bigger and more expensive boat. 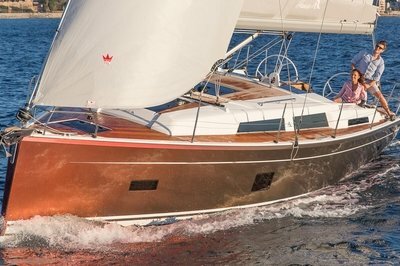 A unique combination of VOR70 inspired design and performance, combined with a generous cockpit and comfortable interior, the Elan E3 is definitely an exciting boat to sail. Continue reading for more information on the ELAN E3. •	Lower companionway for easier access down below and more safety. •	Genoa cars along the coachroof for optimum sheeting angle and safe passage forward. 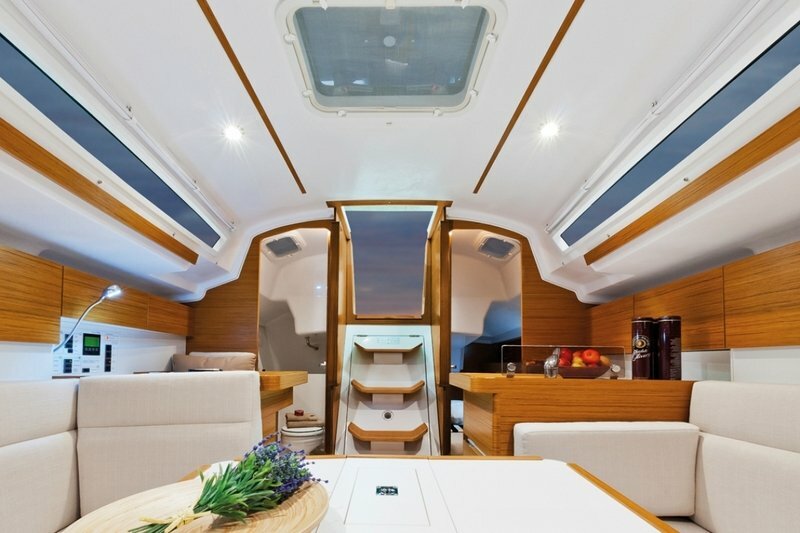 •	Recessed mainsheet traveller and two additional portlights in aft cabin for more light and air. •	Helmsman’s foot support for safe and comfortable steering when heeled. •	Retractable gennaker pole, optional in carbon for an en-joyable downwind sailing. 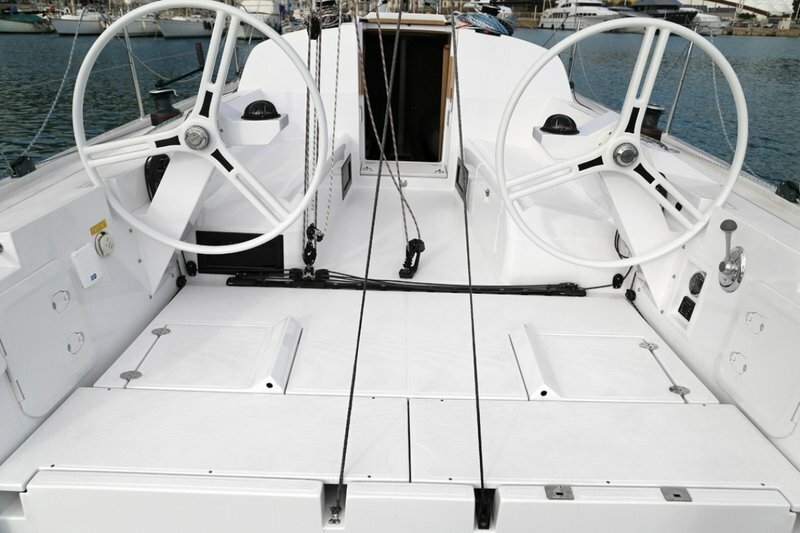 •	Retractable cleats for a clean deck and more efficiency (standard on S3). •	Anchor locker with removable anchor roller, through-deck furler and access to the gennaker pole. •	Elan E3 features a lower companionway for easier access down below, LED overhead lights and ergonomically positioned handrails. •	The L-shaped galley is well equipped and functional. •	Ample space at the navstation, complete for all instruments. •	Plenty of storage space, extra wide cabin door and a comfortable double berth. •	The head compartemt features a wet locker with drain and ample storage. With a broad stern, chined hull, twin-rudder system and a spacious cockpit layout, all designed for best sailing efficiency, the new Elan E3 just emulates the feel of a larger boat. Simply put, she delivers exuberant performance with such ease, you will want to sail her harder, such is the level of control delivered by her chines and twin-rudder arrangement. 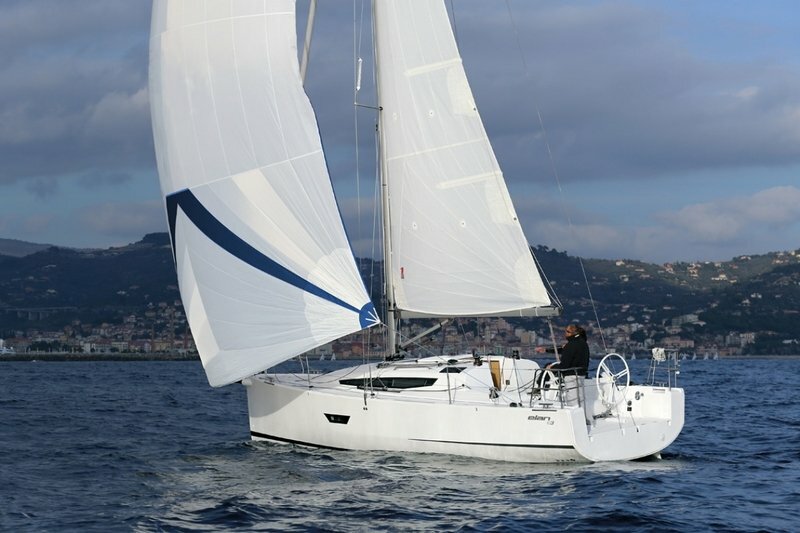 Elan E3’s T-bulb keel lowers the ballast centre of gravity significantly, again allowing a reduction of displacement for a given level of stability. A sparkling performance, but realized in a shorthanded crew context.